Studio Ghibli's masterpiece My Neighbor Totoro is one of the most charming animated films ever made, in large part due to the titular character. 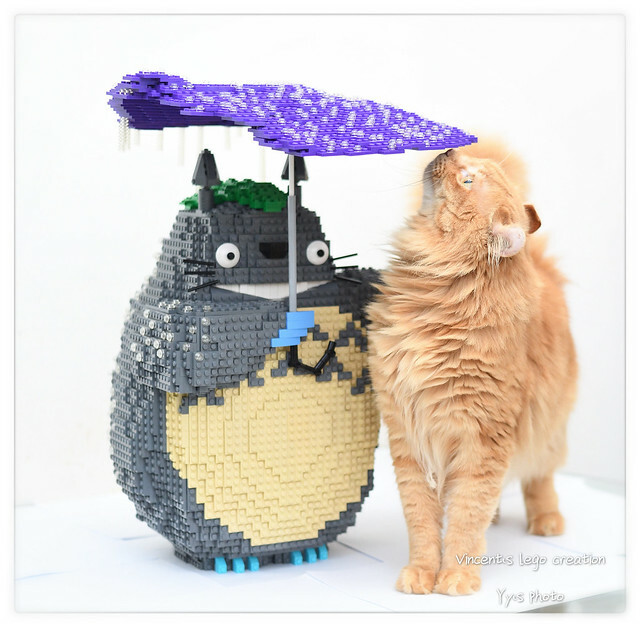 Vincent made a great MOC of Totoro that captures his likeness perfectly. I also really dig the little details he included, like the raindrops on his umbrella. I wonder if his cat is secretly a catbus?